to ActiveRain and all the members who make this network such a wonderful place to work and play. Taking time to say “thank you” to others may seem like a small and insignificant gesture, but the power in those words “Thank You”, no matter how they are delivered, usually mean as much to the receiver as they do to the giver. You have been an absolute “Joy & Hoot” to work with, you’re amazing people! The friends I have made here are some of the best that I have and know. I am truly thankful for all the people I have had the chance to meet and get to know both on the Network, and in person. This has been one of the most bizarre, life changing, mind Boggling, incredible journey’s and years that I have ever experienced, and I am so grateful to be right here, in this time, in this place, right now. This is home. and the rest of the ActiveRain staff for putting up with me, carrying me at the times I needed it, and for putting me in my place when it was necessary. You are all the coolest and most awesome people I have ever had the pleasure to work with. I love you guys. I’m very excited and passionate about the path we’re on, and fortunate to be able to witness where the future will be taking us. for your patience, your support, your commitment to us and to yourselves, and for making AR the place it is today. Thank you for contributing so much, both on a business and personal level, I have learned so much from and about each and everyone of you. I wish I had more time to spend with you, and in your lives. I am truly thankful for your friendships and all that you have given me. Again, Thank You! I am proud of this company, this network, and most of all, this family I call my own. Lastly, I am thankful that my own family, here at home, allows shares me with this unbelievable on-line community. To them, I want to say “Thanks for Giving” of your Husband and Dad, I love and care about you so much, and I don’t say it to each of you enough. Sean, Dustin, Brandon and Princess… Thank You!! 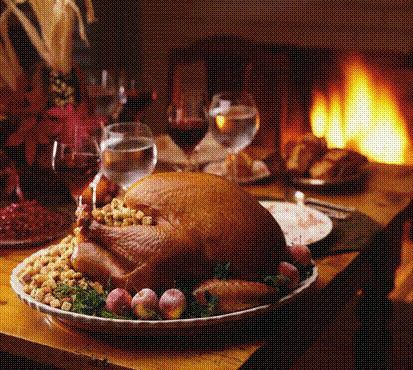 I wish everyone a very bountiful Thanksgiving, and a safe and wonderful Holiday. May God Bless you all in abundance this season, and in the years ahead. Let us all be thankful for what we have, and give thanks to those who have helped us grow and become the people we are. The greatest gift one can give to another is their time. Make “time” to “Give Thanks” to others, not just on Thanksgiving, but everyday.